FaceTime is your basic video chat app developed by Apple itself. FaceTime was developed on an open standard. This means that FaceTime can be used by any OS. However, Apple makes it available only on their products. You can use FaceTime on any Apple device – from the iPad, iPhone, to the iPod Touch and Mac computer. It should go without explanation that FaceTime calls can only be made with other FaceTime users. Is FaceTime Free? No, it isn’t. It costs $0.99 and you can buy it from iTunes. 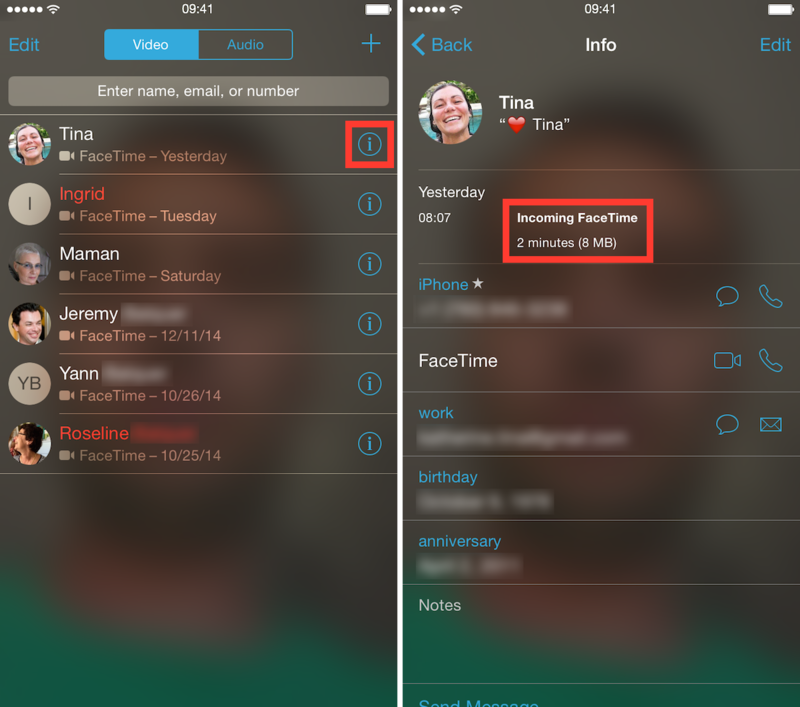 Do FaceTime calls use minutes from your telecom plan? No, it uses your internet data. How much data does a FaceTime call use? Find out down below! Considering that FaceTime is an integral part on how we communicate with our fellow Apple users, it’s time to find out how much data we are consuming. Not everyone has an unlimited data plan and getting over billed is always a pain. Moreover, considering that unlimited cellular data plans are a thing of the past, keeping an eye on our daily usage is a must. FaceTime is free, as in you can call anyone you want iPhone to iPad, iPad to Mac, iPod to iPhone and the list can go on and on. You won’t be charged a dime if you have an internet connection. We did a quick test to see how much data does a FaceTime call use in an average conversation. That’s roughly 3 megabytes for a minute in FaceTime. How do you find out these numbers? For the data-conscious users, we have some simple tips and tricks on how you can crunch these numbers yourself. First, you need to launch the FaceTime app. Afterwards, you need to track your next call. To do so, just tap the small i icon found on the right side of the screen. Just as in the picture down below. Doing this, you’ll be taken to the Contact and Call details. Look at the top of the screen so you can see the duration of your call, if you made it or it was an incoming conversation, and, of course, how much data you used. Take this with a grain of salt. Not all calls take the same amount of data. It varies, but not by much. Find out how much data you used with an individual call made in the past! It’s simple as saying FaceTime. Launch the app. Inside it, tap Audio or Video so all your calls are sorted. Next to your call, on the right side of the screen, you’ll notice a petite i icon – it’s called the Info button. Tap it and underneath your call, which will be displayed at the top, you’ll find the info you’ve been looking for. Find out how much cellular data your FaceTime used via the Settings app! First off you need to launch the Settings app on your Apple device. Tap on the Cellular – it’s located just underneath Bluetooth, and above the Personal Hotspot function. After you did a little tap on Cellular, you’ll be shown a drop-down list. Search for FaceTime in that list. Under it, you’ll see the numbers you need. Please note that if you’ve never reset your cellular data counter, lifetime usage will be displayed. Each month you need to manually reset your cellular data statistics so the cycle can start over. You can do so by scrolling at the bottom in the Cellular setting. There, you’ll find a Reset Statistics button. Tap it and you’re done. If you are looking to optimize mobile data usage or you don’t have unlimited internet traffic on your iPhone, then finding out how much data does a Facetime call use, or any other app for that matter, is a good way to keep your megabytes under control.